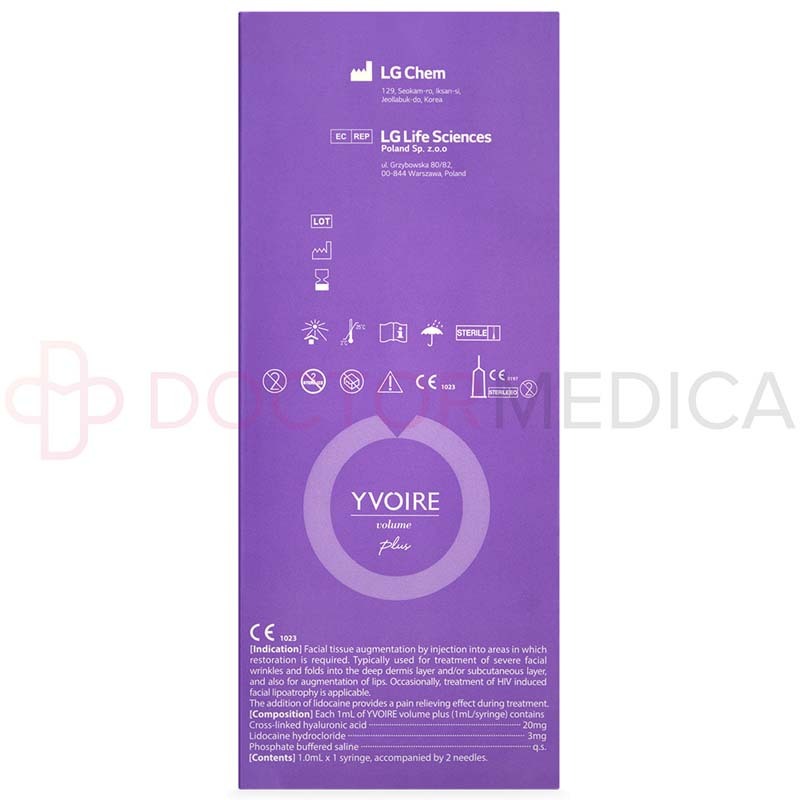 Yvoire Volume Plus is manufactured by the renowned Korean pharmaceutical company, LG Chem Life Sciences. It combines 22mg/ml of cross-linked hyaluronic acid with 0.3% of lidocaine to provide a cosmetic implant suitable for the correction of wrinkles and atrophic scars without excessive discomfort caused by the injection. 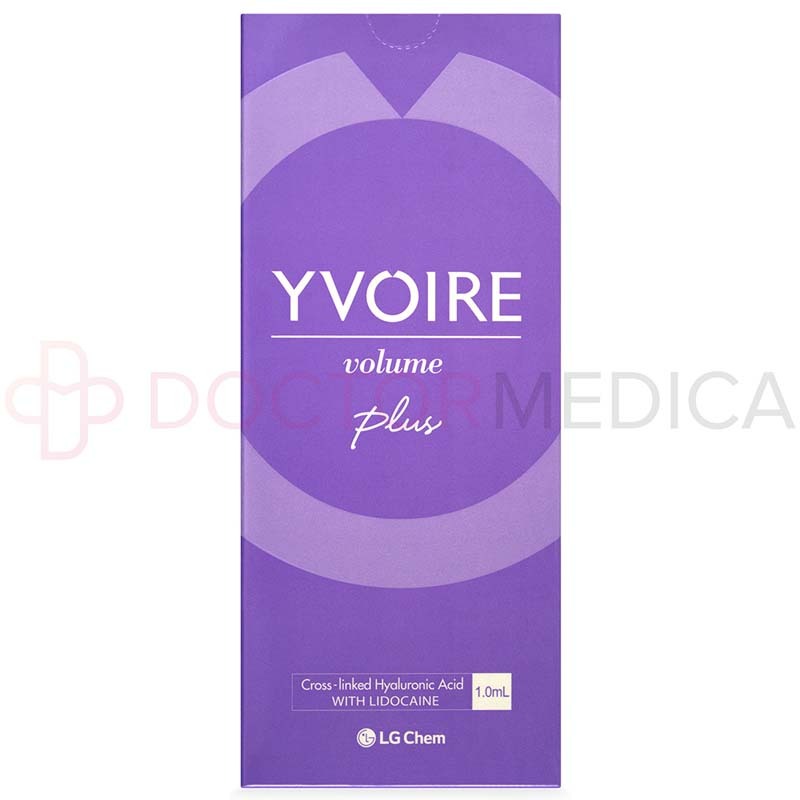 Yvoire Volume Plus is available through DoctorMedica.co. You can place an order through the website, by phone, or by email after registering for an account. If you have any questions, do not hesitate to contact our friendly customer service representatives for support. The syringe barrel in Yvoire Volume Plus is made with CYCLO Olefin copolymer that acts to significantly reduce incidences of barrel breakage. The unibody Luer lock functions similarly by preventing leakage. The Yvoire line-up has been rigorously tested and provides an easy-to-use grip and push rod design, and a thin-wall needle that serves to increase the precision of the entire procedure. High Concentration Equalized (HICE) cross-linking technology helps prolong the duration of action, increasing both the elasticity and safety profile. The relatively high G’ value is made to increase resistance to degradation after the injection procedure. Yvoire Volume Plus also has a moderate particulate size compared to Yvoire Volume Plus and Yvoire Contour Plus. 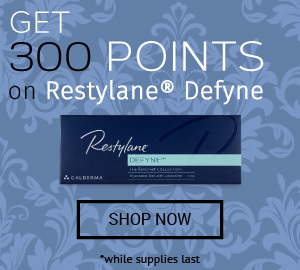 Lidocaine has been added to reduce pain without reducing the effects of hyaluronic acid. The active ingredients in Yvoire Volume Plus are 22mg/ml of cross-linked hyaluronic acid and 3mg/ml of lidocaine. The filler also has a phosphate buffer pH 7.2 q.s. This dermal filler is also colorless, odorless and biodegradable. Yvoire Volume Plus is made of cross-linked hyaluronic acid, a type of glycosaminoglycan that helps form the extrafibrillar matrix in the dermis. Its main functions are to retain water content and maintain the elastic properties of the dermis. Its application in the dermis layer induces both collagen and elastin fibers to bind together, which results in volume expansion in the injected area. The addition of lidocaine helps to ensure that the dermal filling procedure remain as painless as possible. 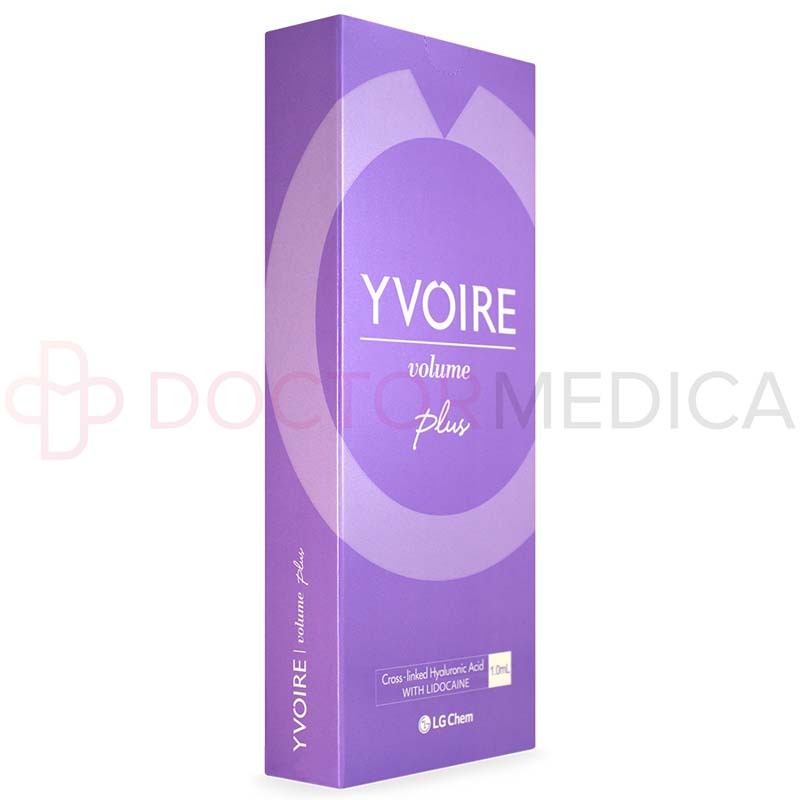 Yvoire Volume Plus is administered via an intradermal injection by a licensed medical professional. Take a thorough medical history and identify any of the contraindications (e.g. history of any allergies to hyaluronic acid or lidocaine). Place the patient in a gravity-dependent position and expose the area of interest to an adequate light source. The dermal filling procedure must be postponed if the area of interest has underlying herpetic lesions, impetigo, or dermatitis. The patient should stop medications or dietary health supplements, if possible, that may inhibit coagulation or platelet function in any way to reduce the risk of excessive bleeding from the procedure. 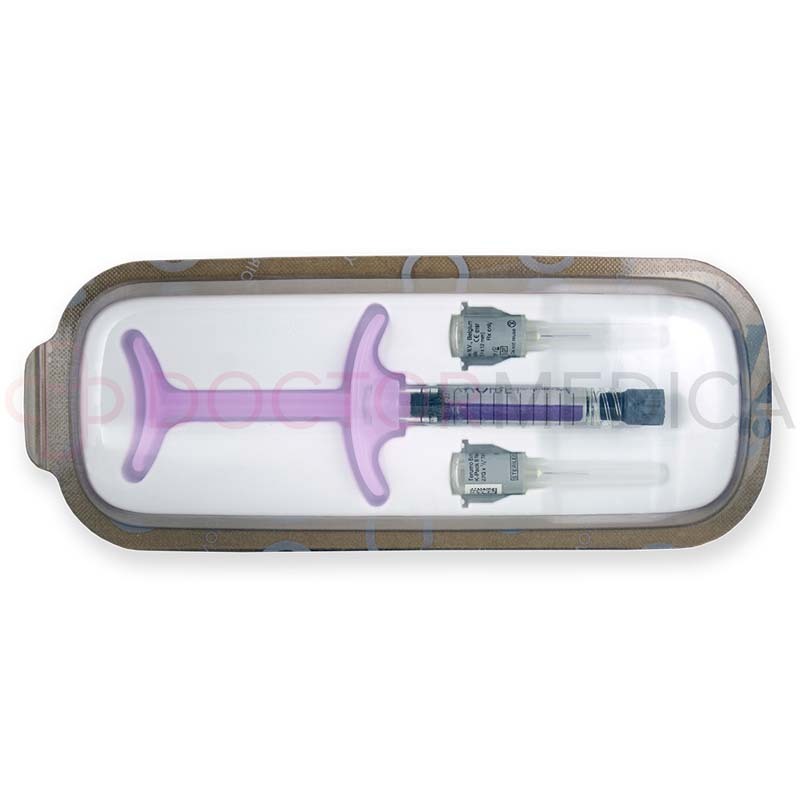 The injection technique and the depth of injection will vary, as different areas of the skin have variable requirements. An aseptic technique must be used at all times. The treatment duration for Yvoire Volume Plus will depend on the extent and severity of the patient’s cosmetic defect and your technical skills in administering an intradermal injection. Expect at least 30 to 45 minutes for the procedure. Yvoire Volume Plus is indicated for patients who have experienced subcutaneous fat loss and bone resorption at the mandible, maxilla, or zygoma due to normal aging and UV damage. Patients with thinning lips can also benefit from treatment. Doctors also use this filler for lipodystrophy, exercise-induced lipoatrophy, and atrophic scarring. Yvoire Volume Plus is injected into areas affected by moderate to severe facial wrinkles and folds and HIV-associated lipoatrophy. As well, use this filler the enhance and augment the lips. Although the results will vary depending on the concern being treated and the patient’s age and lifestyle, this filler can last up to 12 months. Cross-linked hyaluronic acid, such as that used in Yvoire Volume Plus, has surpassed collagen fillers as the most common injectable filler in the United States. Its long-lasting results make Yvoire a cost-effective treatment for patients. As well, as the hyaluronic acid is from a non-animal source, it does not require a skin test. 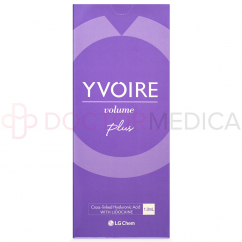 Yvoire Volume Plus is made for patients experiencing deep-set wrinkles and facial volume loss. As well, patients with thinning lips can consider this treatment to enhance and augment their lips for a luscious pout. The side effects from Yvoire Volume Plus are typical of any injection procedure where ecchymosis, erythema, and edema can occur. However, it is important for you to note that serious complications related to are the injection technique can also occur such as facial vascular compromise. A blue discoloration may occur when the injection is not done at the required depth.